Anyone who knows me knows I’m the most unplanned when it comes to my outfits. I usually know what I want but almost never have the time to prepare… which is why I have my trusty panel of people that I turn to in last minute panic and rest assured they always deliver!! 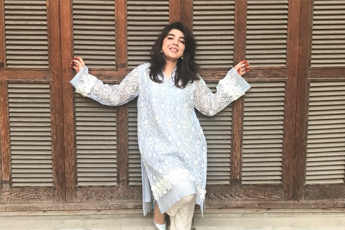 Maheen Kardar Ali of Karma is one person I run to often, the black jumpsuit look I wore at Ponds Miracle Women event was by Karma and one of my favourite to date. Having just done a gown at LSA2017, I was sure I did not want to repeat the look. Plus, being a guest and not a participant allows one to play around with the looks. White on a summer night is never wrong. 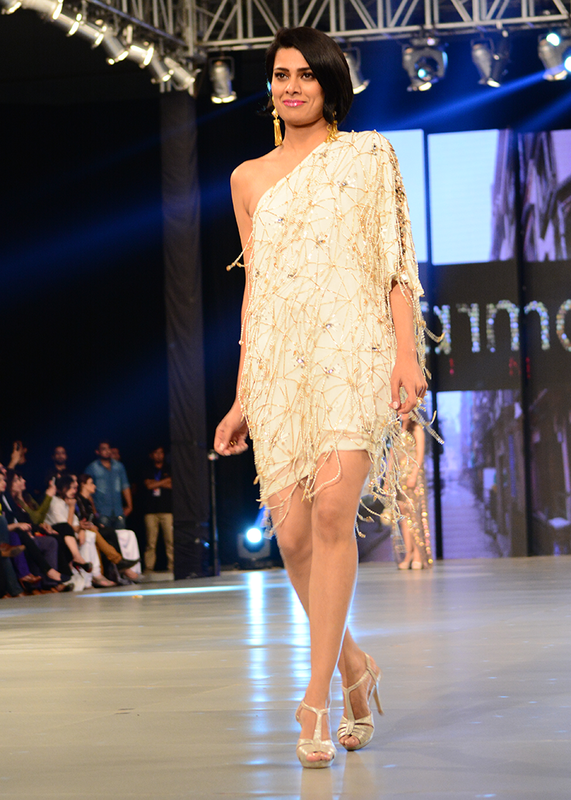 Maheen and I shortlisted this dress from Karma’s luxury Pret showcase and decided to pair flared trousers with it. I fell in love with the embellishment which had me doing the shimmy all night. With such a fun top the answer is always to go simple with accessories. 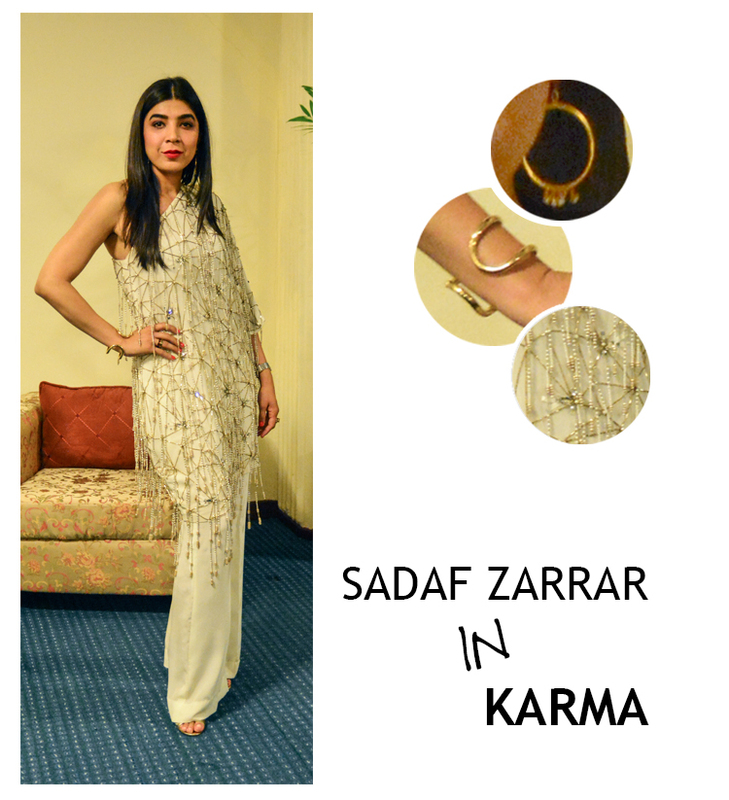 I chose Amrapali gold hoops, a plain gold muse bangle you see me wearing often and simple strappy Karen Millen heels. I even downplayed the hair with a center parting in honour of the tasseled embellishment of the top, complimenting simply with my favourite YSL red lips.